If you’re someone that uses social media marketing for your business or professional persona, then the Social Media Planning Calendar is the perfect tool for you to organize all your posts. You can use this document to simply enter any relevant information for a post and write the actual content later. This calendar serves as the best reminder to continue pushing the envelope with your posts. Remember active posting on these sites is the life-blood of your media marketing strategy. Exceed expectations this year by using this template! You’ll start by downloading the free document located at the bottom of this screen. Simply click the link to start downloading! In “Column A” there is a list of the most popular social media platforms. You can add or change any of these by clicking in the cell you wish to change and typing something new. Once you have the correct platforms for your business listed, you can scroll down to the bottom of the page to the “Cheat Sheet”. The “Cheat Sheet” table in this document is used to provide you with useful information that will speed up your posting. In this section, you can write down important information such as the hashtags you commonly use, passwords, or anything else you’d like to enter. With all the above information entered, you can start to schedule your posts. The template is just a simple weekly calendar. You can enter the information directly on your computer or you can print the sheet and write everything by hand. To print, just press “File” then “Print” at the top. All that’s left for you to do is enter the details of your post and the time you want to send it out. 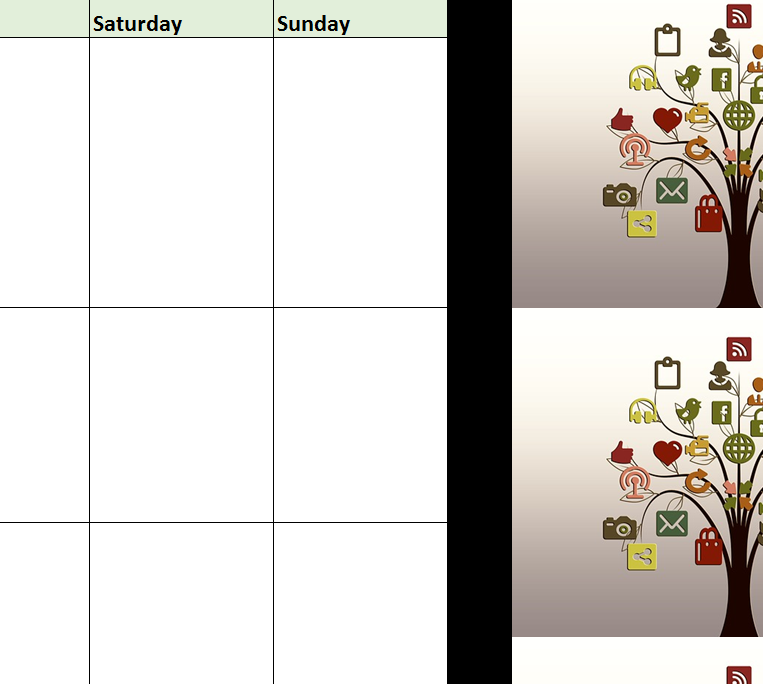 Social media scheduling is finally made easy!